Nearly a decade later, we finally get an update on the fate of Dolly's offspring. It’s been over 20 years since the name sparked major controversy around the world. Dolly was the world’s first mammal to be cloned from a mature adult cell using the nuclear transfer process—and back then, concerns from animal rights activists and questions regarding the ethics of this major advancement in science became the focus of this big leap in cloning technology. Unfortunately, Dolly died at a relatively young age—6.5 years old. But her legacy lives on. Dolly proved that it was possible to reprogram a fully differentiated animal cell, or a somatic cell (an adult cell that belonging to the body) to a pluripotent cell. This prompted scientists to look into developing pluripotent stem cells in the laboratory, ultimately developing cloned embryos. The question is—how healthy are these embryos? And can these lab developed embryos develop into healthy, living beings? A study conducted by Kevin Sinclair and published in Nature, is answering that question as it looks into the health of Dolly’s clones. Sinclair and his team reveal that the clones are now nine years old and are as healthy as they can be, with no major issues problems. “Concerns regarding premature aging and the health status of cloned offspring have been around since the birth of Dolly. 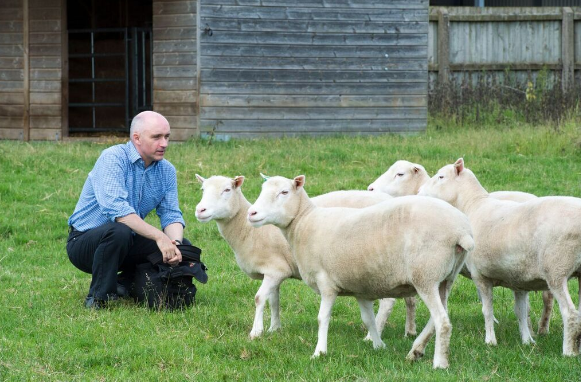 In this study, we undertook comprehensive health assessments of aged cloned sheep, including four clones (identical sisters) of Dolly, and found these animals to be as healthy as normal aged sheep,” he shares in an interview with ResearchGate. The researchers focused on studying several health issues typically associated with age-related problems, including metabolic disorders, obesity and high blood pressure, as well as arthritis. Across all these common problems, the animals were found to be healthy, with no evidence of premature aging. This implies that cloned embryos could be capable of undergoing successful reprogramming and implantation in the uterus after it has been transferred to a surrogate; assuring that embryos will produce viable offspring that age normally. Fortunately, a lot of the stigma surrounding cloning that were first brought to light in the 90s have been put to rest. Today, the study has proven itself essential for research into regenerative medicine. To date, Sinclair notes that over 20 animals have been cloned around the world in an effort to further refine the procedure and continue the research, while ensuring animal health and welfare. Despite the numerous evidence proving that cloned animals are as healthy and robust as naturally conceived animals, studies seem to show that any cloned animal that gets past the first couple of months of life live on to become healthy. Early pregnancy loss or neonatal losses are still more common among assisted reproduction (IVF). But rest assured that research is currently being done to overcome it.